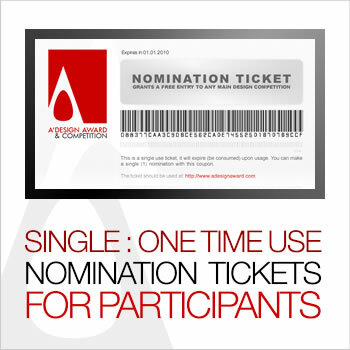 This page describes Single Nomination Tickets, which allow you to make nominations. Unlike the Other Discounted Nomination Packages which have a fixed price among any of the competition periods (Early, Standard, Late), single nomination tickets have a varied price structure based on the current competition period. We offer single-nomination tickets aimed at Designers, Architects, Artists and Small to Medium Sized Design Studios, Architecture Offices etc to nominate their designs. What is a Nomination Ticket? 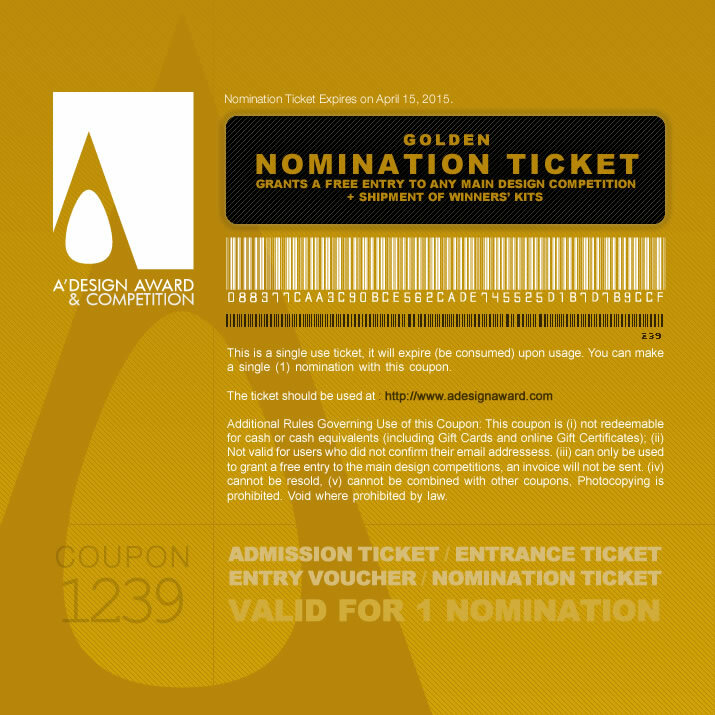 Nomination tickets are used to waive processing fees while making submissions. Are pre-purchased, pre-paid; and could be used later any time. The price of the ticket depends on the competition period (click here to learn current competition period). Nomination tickets can be distributed to fellow designers, students, association members, sectoral companies and others that you would like to support. Valid for any interested party, can be distributed to any relevant party after purchase. Are especially useful, in cases where you want to catch the deadline for the current period, but the design is not yet ready. 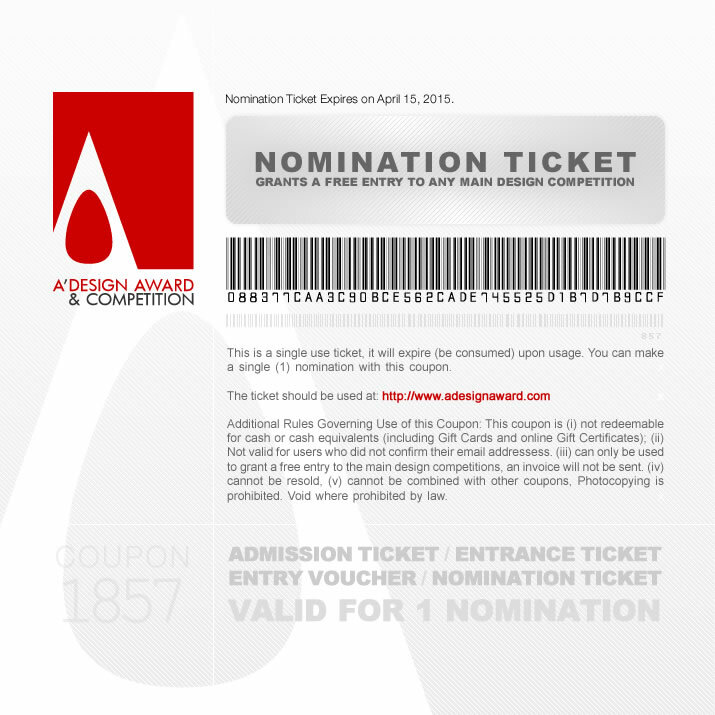 Nomination tickets can be used by you or be distributed to your designers, partners, employees etc. Tickets will expire in 2 years after purchase. Tickets can be used at any year, at any time of the year, within the valid time period. An invoice will be sent upon purchase, no further invoices will be sent for individual submissions. You can buy multiple singe-tickets. Please note that, you do not need to pay any "further fees"when you win an award. The Given package costs are all you have to spend. A' Design Award and Competitions will take care of the extensive PR campaign, results book publication, printing and delivery, trophy fees, scoree sheets, winners kit and their expedition for free on behalf of the winners. Tickets can be used to make submissions into any categories and in any combination of categories. Participants Kit, that includes Certificate of Joining and Score Sheet (after competition) for all nominations. Winners Kit, that includes Trophy, Award Certificates, Result Book, Award Stickers (after competition) for winners only. Free PR Campaign for winners. You will receive your nomination ticket via email. These submission tickets can also be accessed through your control panel under nomination tickets. You can distribute the tickets to your designers, different departments, partners and employees. Invoices will be sent to your institutions address and also to your email, and are also available through the control panel under invoices tab. 1Each category submission counts as a single entry. 2The submission period is not relevant and does not effect the price. You could make early, standard or late submissions as you see fit. However, you cannot buy for example "Early Period Ticket" in the "Standard Submission Period". 3These are the final costs regardless of any taxes. Please note that larger nomination packages are available for enterprises and institutions. To learn more about them, click here. In addition to the Standard Nomination Ticket, any eventual shipment of winners' kits are included. In addition to the Standard Nomination Ticket, Express Evaluation and Judging Service is included. In addition to the Standard Nomination Ticket, Express Evaluation and Judging Service, Premium Support, Entry Insurance as well as Eventual Shipment of Winner Kits is included. Furthermore, this ticket will be renewed at no cost, up to two times. This very special ticket is valid for all account types and all entry periods including Omega Entry Period, however it is not refundable, transferable or resellable. valid in all entry periods Buy Now. 1Please note even the Enhanced Nomination Ticket can be subject to fees or fines, such as disqualification fine due to intellectual property infringement or cost related to additional services that you might require such as editing your images, text etc post competition. 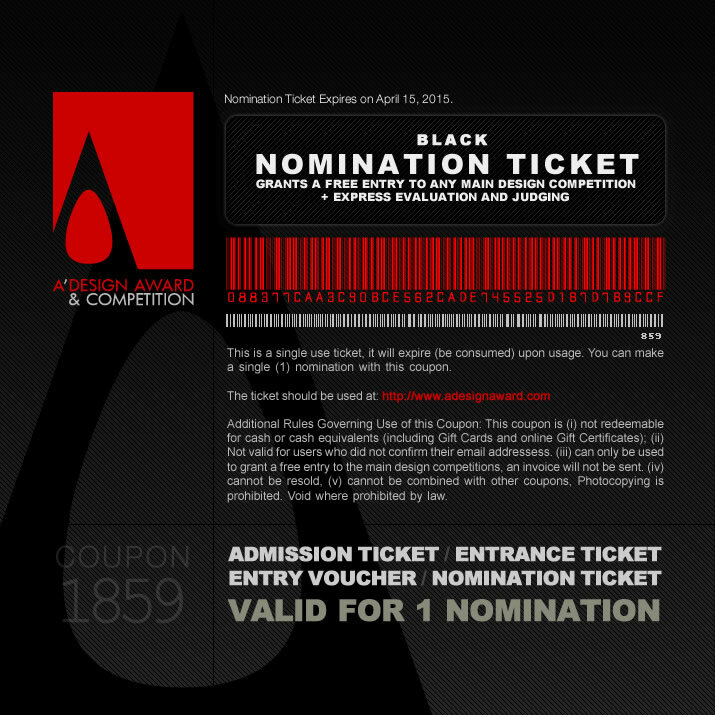 To learn how to use nomination tickets, click here. To learn how to make a payment for nomination packages, click here. To learn about Discounted Nomination tickets during gala-night, click here. Please contact us if you are interested in any of the nomination packages.